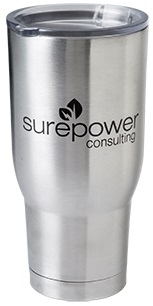 The MOST popular promotional tumbler on the market today! 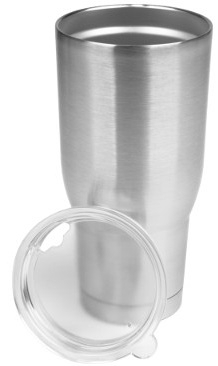 Keeps ice cold for more than 24 hours, and even keeps beverages HOT for more than 6 hours. Forged from food grade stainless steel with an Anti-Skid rubber pad on the bottom. This item is perfect for golf events, company giveaways, or just a day out and about! Imprint Size: 5”w x 3”h per side, 11”w x 3”h wrap. Additional Imprint Colors: Unfortunately not applicable on the PRO32.